BEACHWOOD, Ohio, June 14, 2017 /PRNewswire/ — DDR Corp. (NYSE: DDR) and an affiliate of Madison International Realty today announced the recapitalization of a joint venture with 52 shopping centers previously owned by DDR and various partners through the DDR Domestic Retail Fund I, totaling $1.05 billion. Madison International Real Estate Liquidity Fund VI, an investment fund managed by Madison International Realty, acquired 80% of the common equity of the joint venture and an affiliate of DDR retained 20%. This ownership structure is consistent with the structure of the joint venture prior to the recapitalization and will be a long-term strategic partnership. DDR will continue to provide leasing and management services. The portfolio, totaling 7.0 million square feet, consists primarily of grocery anchored shopping centers located predominantly in Florida and the Southeastern United States and was originally formed in 2007. Three properties previously held by the partnership have been excluded from the recapitalization and are being held in a separate joint venture with the previous partners of DDR Domestic Retail Fund I including DDR. The recapitalization includes the repayment of all outstanding mortgage debt previously held by the partnership with a new $707 million mortgage loan ($141 million at DDR share) secured by the 52 assets. “We are very pleased to be partnering with DDR. This venture is an exceptional opportunity and an excellent fit with our investment strategy. Madison’s investment will allow existing partners to exit, Madison to expand its retail footprint, and DDR to continue its value creation strategy. 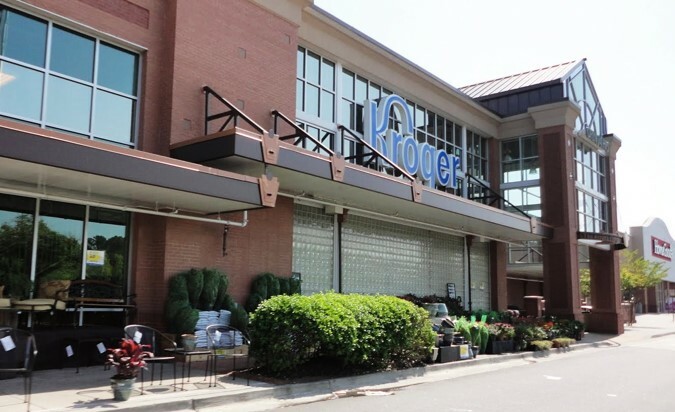 The portfolio consists of destination grocery-anchored centers located in Southeastern markets with growing populations and favorable demographics,” said Ronald M. Dickerman, Founder and President of Madison International Realty. DDR is an owner and manager of 309 value-oriented shopping centers representing 103 million square feet in 35 states and Puerto Rico. The Company owns a high-quality portfolio of open-air shopping centers in major metropolitan areas that provide a highly-compelling shopping experience and merchandise mix for retail partners and consumers. The Company actively manages its assets with a focus on creating long-term shareholder value. DDR is a self-administered and self-managed REIT operating as a fully integrated real estate company, and is publicly traded on the New York Stock Exchange under the ticker symbol DDR. DDR Corp. considers portions of the information in this press release to be forward-looking statements within the meaning of Section 27A of the Securities Act of 1933 and Section 21E of the Securities Exchange Act of 1934, both as amended, with respect to the Company’s expectation for future periods. Although the Company believes that the expectations reflected in such forward-looking statements are based upon reasonable assumptions, it can give no assurance that its expectations will be achieved. For this purpose, any statements contained herein that are not historical fact may be deemed to be forward-looking statements. There are a number of important factors that could cause our results to differ materially from those indicated by such forward-looking statements, including, among other factors, local conditions such as supply of space or a reduction in demand for real estate in the area; competition from other available space; dependence on rental income from real property; the loss of, significant downsizing of or bankruptcy of a major tenant; redevelopment and construction activities may not achieve a desired return on investment; our ability to buy or sell assets on commercially reasonable terms; our ability to complete acquisitions or dispositions of assets under contract; our ability to secure equity or debt financing on commercially acceptable terms or at all; our ability to enter into definitive agreements with regard to our financing and joint venture arrangements or our failure to satisfy conditions to the completion of these arrangements; the success of our deleveraging strategy; and any impact or results from the Company’s portfolio transition or any change in strategy. For additional factors that could cause the results of the Company to differ materially from those indicated in the forward-looking statements, please refer to the Company’s Form 10-K for the year ended December 31, 2016. The Company undertakes no obligation to publicly revise these forward-looking statements to reflect events or circumstances that arise after the date hereof.